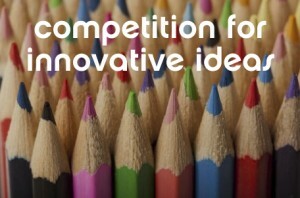 Home > News > NanoDiode idea competition – voting until January 31st! NanoDiode idea competition – voting until January 31st! In Autumn 2014 over 50 European school kids and students participated in the NanoDiode competition for innovative ideas and developed their own ideas on how nanotechnologies could be used for a better, sustainable European future. Now, until January 31st, it is time to vote for your favourite idea! Click here, view the ideas and like, tweet or share the ones you find best! The competition winners are determined both by the voting and by an expert jury. NanoDiode invites the winner of the competition for an innovation-oriented weekend trip to Amsterdam, the Netherlands! The schoolclass with the most innovative ideas will be awarded with the NanoSchoolBox, containing 14 exciting do-it-yourself experiments from the nanotechnology field.